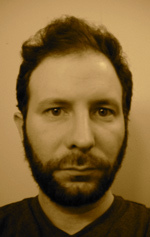 Eric Liebman is a composer based in New York City and Izumo, Japan. He has been writing and producing music for over sixteen years. Liebman composed and recorded the soundtrack for Eric Daniel Metzgar's "REPORTER" (Stick Figure Productions and Merigold Moving Pictures), a feature-length documentary about New York Times Pulitzer Prize-winning writer Nicholas Kristof's journey to Africa. Metzgar filmed Kristof as he investigated the poverty and violence that has engulfed Congo. "Reporter" premiered at the Sundance Film Festival in 2009, and premiered on HBO the following year. but effective treatment of a very sad story." Liebman composed and recorded the score to Eric Daniel Metzgar's "Life. Support. Music." (Merigold Moving Pictures), and for his work on this film he was nominated for Cinema Eye's "Outstanding Achievement in Music Composition" award. "Life. Support. Music." is the story of Jason Crigler, one of New York City's most sought-after guitarists, who suffered a devastating brain hemorrhage during a concert. The film chronicles the Crigler family's Herculean efforts to help him survive and recover. The film won the 2008 Audience Award at the Independent Film Festival of Boston. "Life. Support. Music." was also screened at the HotDocs International Film Festival and over 20 other festivals, and aired as part of PBS's "P.O.V." series. Liebman scored Robert Greene's "Owning the Weather" (4th Row Films), an epic documentary exploring the history, science, and ethics of global weather modification. Liebman also composed and recorded the score to "The Chances of the World Changing" (2006, Merigold Moving Pictures), the first feature-length documentary by Eric Daniel Metzgar. "Chances" was nominated for an Film Independent Spirit Award and was part of PBS's 2007 "P.O.V." series. The film was shown at scores of festivals. Read Metzgar's and Liebman's production journal on the PBS site. The soundtracks to "Life. Support. Music." (featuring two songs from the film's subject, musical genius Jason Crigler) and "The Chances of the World Changing" are now available for purchase in CD or mp3 format. Liebman served as musical supervisor for (and contributed music to) "All of Us" (Pureland Pictures), directed by Emily Abt; this documentary debuted on Showtime. Liebman also scored Metzgar's short film "Beholder" (winner of Hotdocs' International Documentary Challenge "Original Vision" award) and provided original music for "La Americana (2008, People's Television)," the first feature-length documentary by Nicholas Bruckman. "La Americana" took the top prize at the Ojai Film Festival in California as well as at the Orlando Hispanic Film Festival. "An enchanting score by Eric Liebman sets the tone for this exquisitely photographed story."